Colonial ceramic tile mural for a kitchen backsplash, tabletop or wall from Mexico. 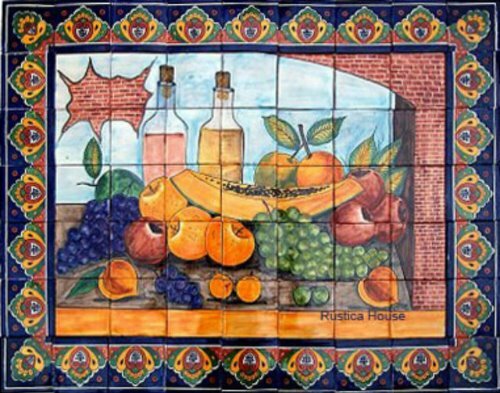 Tile mural "Wine and Fruit" dimensions are 36 x 28 inches handmade using yellow, wine and terra cotta paint on a brown color background. This colonial talavera mural was made using 4x4 (10x10cm) ceramic tiles. Free shipping to Mexico, and the US.